Client Ratings Debbie Theiss has been rated by 64 clients. Born and raised in this beautiful City, and having raised a family of my own, I am a firm believer that we live in the “Heartland of Opportunity”. I understand why so many people flock to our City in search of a better life; I have seen first-hand, you can find whatever you’re looking for here! 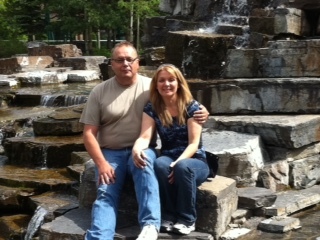 In my personal life, I have been married for 27 years and am the proud Mother to two very outgoing and thoughtful kids. Part of what has kept our family close and something that we enjoy doing immensely together is playing music! I absolutely love blues music in particular and have been playing the bass guitar for many years. I feel that two of my greatest attributes are my ability to listen and my desire to be engaged in what is going on around me; I love meeting new people and am fascinated by other’s stories. Listening and being open-minded is the key to everything for me… personal, family, business and life. 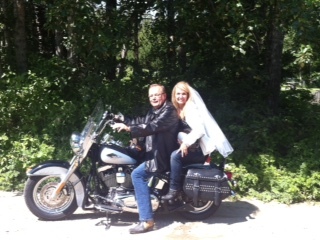 For our 25th Wedding Anniversary, I surprised my husband and I rented a beautiful Harley Davidson; we went on a spontaneous bike trip like we enjoyed before we had kids. It brought back so many wonderful memories that I had from years ago when we took longer trips together and I saw the Rocky Mountains, Vancouver and many of the States, from the back of our bike. Making the best of a day, an afternoon or a moment is what makes life special; stop to smell the roses and enjoy the view as much as you can! I understand that Edmonton may not be for everyone. Some people have spent their entire lives here (myself included), some people just come for work or for a fresh start. Whatever your reason for finding yourself in Edmonton, I know that there is so much to experience and enjoy here if you are open to it! I would be very happy to help you find ‘your best Edmonton’, as it is different for everyone, depending on your priorities! Whether your focus is on finding a great school for your kids, work opportunities or the desire to be part of an up and coming, colourful Community, I have the ear to hear your needs and the life and professional experience to help make your vision a reality! Princess Di…loved her beautiful disposition. Lottery…have fun with crazy ways to bless the unfortunate….like buy a pile of grocery’s leave on doorstep ring door bell and run like a mad woman! BUL-GO-GI HOUSE love Koran food! If you could shop in one store forever for free, what store would it be? Macey’s ..I just really like that store! “Never Never Never give up” Sir Winston Churchill. If you could be a character in a book or movie, who would you be? Debbie was very patient and helpful. She was quite professional and was never afraid to give her genuine advice, which we truly appreciated. Similarly, Debbie has proven to be quite knowledgeable with the intricacies of the real estate market and thus was understanding of our needs which made the process a smooth one for my family. I would surely recommend the service of Debbie Theiss to my friends and family. Allen and Deanna. Debbie was awesome from start to finish. After having trouble with a previous realtor, we decided with a referral to speak with Debbie. she arrived at our house and we started talking and before you know it we were getting tips on how to present our house and touch things up to perk the house up to tip top shape for selling; she was realistic and didn't set dreamy expectations (honesty is a great policy.) we had listed the house with the previous realtor for over 4 months with no serious hits, and only 4 days after posting our house with Debbie it was sold! She worked extremely hard before, after, and during the sale; she brought in materials from her own belongings to stage the house with, hired a professional photographer for amazing photos, always reachable for contact, and even organized inspections and cleanings while I was out of town! talk about top tier realty! I would recommend Debbie to anyone and everyone with my own reputation on the line, heck I referred her today! thanks Debbie! 5/5 stars! Debbie was excellent to deal with. As we were not familiar with the neighbourhoods we were looking at, her knowledge of the areas enabled her to find us a property that met our needs. She was able to draw on her extensive experience and guide us through the process, recommending certain things and warning us of other things we may not have considered otherwise. Debbie always had a smile on her face and we felt that she was genuinely looking out for us. By the end, we felt that we were not just clients, but friends. We would deal with Debbie again in the future and definitely recommend her to others.